Who says Epiphany in France says galette des rois (king cake)! While Epiphany is a Christian holiday, its origin can actually be traced to the Romans. This pagan custom dating back to the Romans was called Saturnalia, an important festival in honor of the god Saturn, which lasted seven days and where everything was permitted. In the fourth century, the first Eastern Churches started to associate the festival to the period following the birth of Jesus. The feast of Epiphany was born. The Church of France will adopt this practice centuries later and make it a Christian holiday to not only celebrate the Epiphany, but also splurge on frangipane and therefore end all new year resolutions only 5 days into the new year! The feast of Epiphany or Three Kings’ Day commemorates the visit of the Three Kings, Melchior, Gaspar and Balthazar who came carrying gifts to the child Jesus, myrrh, frankincense and gold. In ancient Greek, Epiphany is a “manifestation”. The first manifestation of the sacred character of Jesus as the Messiah is then associated with the quest and adoration of the Magi who recognized the Messiah shortly after his birth. 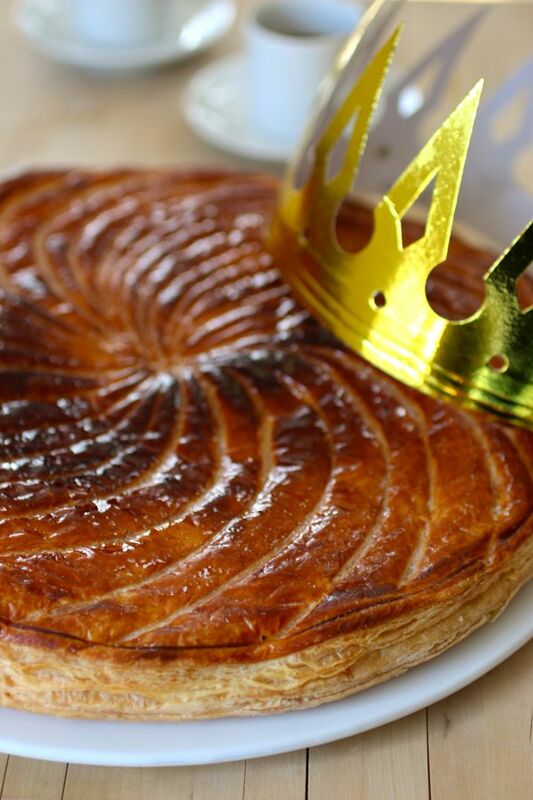 Epiphany is celebrated on January 6, but more practically on the second Sunday after Christmas, which falls on January 4th this year, although it is customary to eat galette des rois during the first half of January. 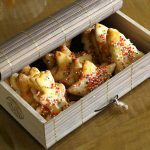 A “marketing” tradition that many pastry chefs love! What is the origin of the trinket in the galette des rois? The custom of the trinket (fève in French, or “fava bean” in English) placed inside the cake comes from the Romans who used to insert a black or white token to designate the king of the feast. The king then had the right to do what he wanted all day. An actual fava bean was originally hidden in the galette. The legume then gave way to a small porcelain artifact representing the infant Jesus and a Phrygian cap during the French revolution. Since the last century, plastic or ceramic figurines depicting nativity characters but also various objects have been placed in the galette des rois. Today, there are a multitude of fancy trinkets for the pleasure of collectors. The Blain museum in Loire Atlantique in France has a collection of more than 10,000 trinkets in porcelain, ceramic or plastic. Did you know that trinket collectors were not called bean counters but fabophiles? Tradition has it that whoever eats the slice containing the bean is declared king. Also traditionally, the youngest of the family, supposedly the most innocent person, slips under the table to indicate who will get which slice. Thus, nobody can cheat. A crown is placed on the head of the king who must choose his queen (and vice versa). There are as many slices as dinner guests. 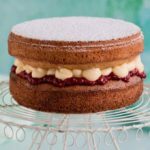 There is even an extra slice sometimes. Indeed, some families keep one slice aside as the “slice of the poor” or of the “Good God”and so it can be offered to any unexpected visitor. 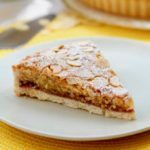 What is the difference between almond cream or frangipane? But back to our galette des rois with THE debate that goes on in every home, or almost every home each year at the same time: almond cream or frangipane? No, it is not the same thing. 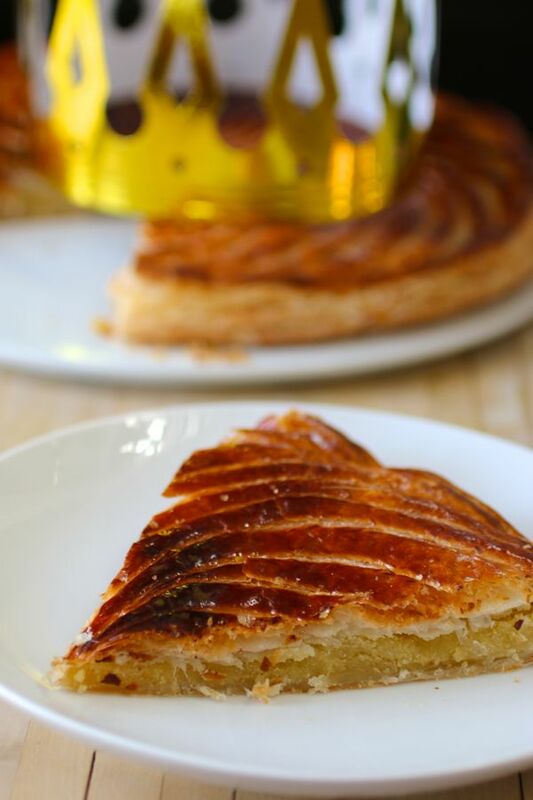 While galette des rois traditionally includes frangipane, it is more and more prepared with almond cream instead. Definitely a matter of taste but also probably a matter of cost for pastry chefs who offer it. But what is the difference between almond cream and frangipane? Almond cream is a mixture of the same amount of sugar and almond powder to which is added softened butter and eggs. Frangipane is composed of ⅔ almond cream to ⅓ pastry cream. 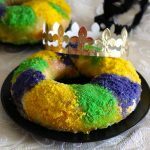 What are the different versions of king cake? 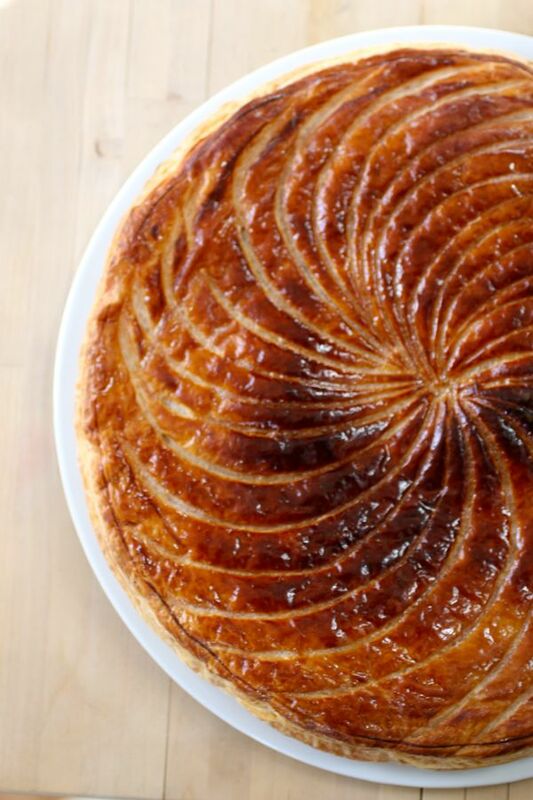 There are a multitude of versions for galette des rois, first of all in the various regions of France like pithivier in the Centre region of France (which is the version I am preparing today), gâteau des rois, pastis or brioche in the South of France, galette comtoise (dry galette made from pâte à choux covered with sugar and butter flavored with orange blossom water) in Franche-Comté and nourolle in Normandy. 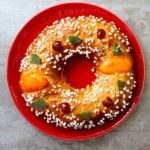 Other countries are not left out with driekoningentaart in Flanders, tortell in Catalonia, Roscon in Spain, king cake in the South of the United States (especially in Louisiana), bolo rei in Portugal, rosca in Mexico, and vassilopita in Greece. 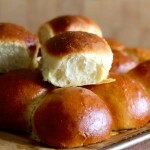 Other countries celebrate Epiphany with other specialties like in Italy with the befanini. So many ways to celebrate the Epiphany! 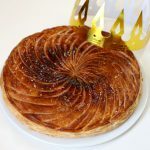 The recipe for galette des rois or pithivier is quite simple when it comes to ingredients but as often in baking, everything lies in the savoir faire. 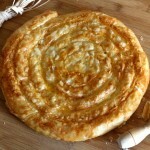 I made this galette des rois that we tasted after a good cheese fondue at our friends Myriam and Emmanuel. Yes, new year resolutions did not last very long! Pithivier is a traditional galette des rois (King Cake) from the Centre region of France. This recipe uses almond paste instead of frangipane. 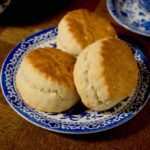 Divide the pastry into two if necessary, and spread to a thickness of 1/6 inch so as to obtain two doughs which cover a circle of desired size. Combine the ground almonds and sugar in a bowl and stir. Add butter, almond extract and continue stirring. Add eggs slowly in the preparation. 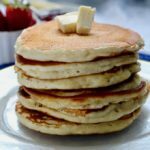 Stop when reaching a consistency that can be spread and is not too liquid. 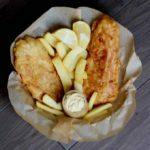 Roll out the first disc of dough on a baking sheet lined with parchment paper. Brush the egg white around the circle over a width of ½ inch from the edge. Spread the almond cream inside the circle leaving ½ inch space from the edge. Place the second circle of dough on top. Tap around the circle to ensure that the two circles are well bonded. Dilute the egg yolk in a teaspoon of water. Brush the egg yolk all over the top circle. Draw patterns on the top circle using a knife or other sharp utensil. Bake in a preheated oven at 380 F. Check galette des rois after 25 minutes and continue baking for a few minutes if necessary until the top is golden brown. Tip for professional look: Take the galette des rois out of the oven, lightly sprinkle with icing sugar and put back in the oven for 2 to 3 minutes until the icing sugar has completely dissolved for a shiny professional appearance. Mike, this is absolutely gorgeous! 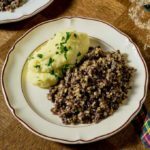 …another stunning recipe – simply gorgeous and a recipe I will definitely be trying. What an absolutely gorgeous cake! As always, I so enjoyed reading your post! 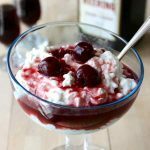 This LOOKS french; I can only imagine how wonderful it tastes; thanks so much for sharing this o ne! This looks fabulous. Very interesting read too. Mike, You out did your self this time. Looks Delicious. Epiphany for Orthodox Christians is when Christ went to Jordan river to be baptized by John the baptist and we celebrate it on the 6th of January right after New Year. 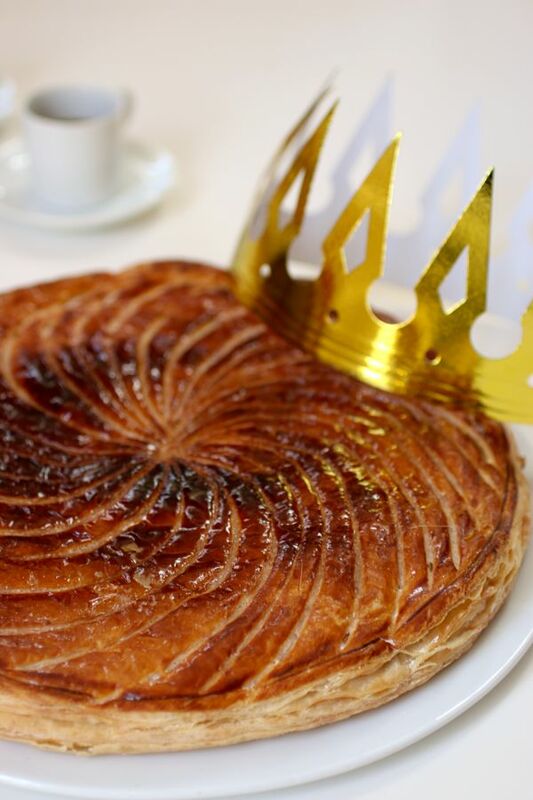 I always wanted to make this Galette de Rois and I believe I have found the right recipe here! Sure Melissa. I have personally never found pre-made sweet puff pastry so this would be plain puff pastry, which you can also use for savory preparations. Happy New Year!